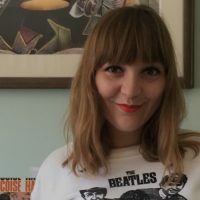 Hannah Vettese is the sub-editor and a staff writer at Record Collector, the UK’s longest-running monthly music magazine. 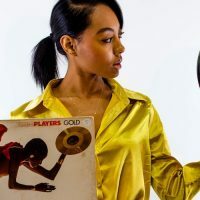 She is a lover of 60s girl groups, and female-fronted soul and pop records. 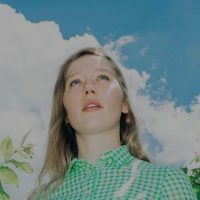 We caught up to chat about her earliest musical discoveries, and how she’s helping Record Collector Magazine to grow its female readership. What was the first record you bought/borrowed/inherited? I inherited a huge box of singles when I was about 13, after my grandfather died and my dad went back to Scotland to clear out the old family home. I was so excited to go through them all, just spinning everything and then storing them in order of most to least favourite (I was quite the nerd…and still am, really). I distinctly remember putting on Georgie Fame’s Yeh Yeh for the first time and just wholeheartedly falling in love with it and playing it every day before I went to school and as soon as I came home. The first record I remember buying was Patti Smith’s Horses. My older brother was given one of those “1,000 records to hear before you die” books for Christmas one year and I snaffled it. I went through it, reading all the descriptions and folding down the pages on the albums that sounded the most magical. I was obsessed with that sleeve – the jacket casually thrown over the shoulder, Patti’s fantastically wild hair – and I knew I had to have it. I figured if I hated the music, at least the sleeve would be nice to have on display as artwork! Luckily it proved to be my favourite record. How did you get involved with Record Collector? After university I was picked to take part in the first year of the Southbank Centre’s “young journalist” programme that they ran alongside the Meltdown Festival. It was an amazing experience. After that, I did an internship with a music PR company – that was a horrendous experience. I was really shy but so miserable that I decided I was going to email a bunch of magazines/labels etc on the off chance they had any opportunities and the first person I emailed was Ian McCann, the previous editor of Record Collector. A wee while later he called me out of the blue (when I was crying in the Barbican because everything was going terribly) and he asked me to come in to interview for a job. And that was that! It differs week to week. Usually I get in, answer a load of emails and send a load of emails. I’ll maybe sub some features if they’ve come in, write and plan my own columns, write some reviews or draft some ideas for features. We work on a cycle, so usually my first week after the magazine has gone to the printer is quite quiet and then it gets steadily busier until we wrap up the next one. If you could interview anyone for Record Collector, who would it be? 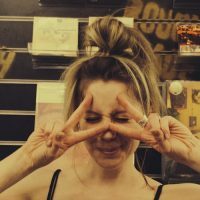 How is Record Collector growing its female readership? 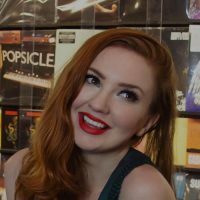 I personally try and feature as many female collectors in the magazine as possible – and have had the pleasure of including some incredible women working on some fantastic projects and people I really admire. For example, last month I featured Kornelia Binicewicz whose Turkish Ladies compilation is incredible. Ditto Linda Mora-Curtis who wrote the sleevenotes for Ace Records’ Beat Girls Español 1960s: She-Pop from Spain; and Sheila B, who just knows so much and whose radio show Sophisticated Boom Boom is wonderful – if anyone reading doesn’t already listen to it I recommend they give it a listen immediately! I also like to try and write about underappreciated female artists or even female fans – for instance, I wrote a piece on the importance of female Beatlemania, and a piece on Aretha Franklin’s sisters – Erma and Carolyn – who never got enough credit in the 60s. I also try to review mainly female-focused albums because if I can do even a tiny bit to help champion women, I will! I hope that encourages female readers, and I hope they feel like they can reach out to me because I think that community is so important. I am a huge fan of 60s girl groups – so I am always loving them. I mainly listen to 60s and 70s soul, pop and beat artists but I do try to keep an eye on more recent releases. Natalie Prass’ new record The Future And The Past is great, and I’m still not over Juliana Hatfield Sings Olivia Newton-John, which has a beautiful cover and is a bafflingly good idea for a record. Which record in your collection could you not live without? Definitely Patti Smith’s Horses. No record has ever frightened and excited me so much! Hannah can be found on Instagram at hannahvettese or recordcollectormag, or on Twitter @HVettese.